Grief is as unique as a fingerprint and every family is unique in their preferences, desires, and hopes for the remembrance of their loved one. At Buhrig Funeral Home & Crematory and Buhrig's Gathering Place, we strive to help families achieve the greatest healing possible through our care. We visit with each family and listen to understand who their loved one was, who they are, and what the family values to give them experienced, professional guidance. The decisions are always in the hands of the family, but we work hard to ensure no detail is overlooked. As you consider a funeral, gathering or celebration for your loved one, please know that nothing we do is cookie-cutter. Instead, all the care we provide is specially crafted to best honor the detailed wishes of families as they celebrate the life of their loved one. Sometimes the pain of grief, time challenges, and other issues cause people to consider not having an event to remember their loved one. However, the permanency of death is challenging and to heal people must find significance – the significance of their loss and the significance of the person who has passed. One way to assign significance is by gathering. 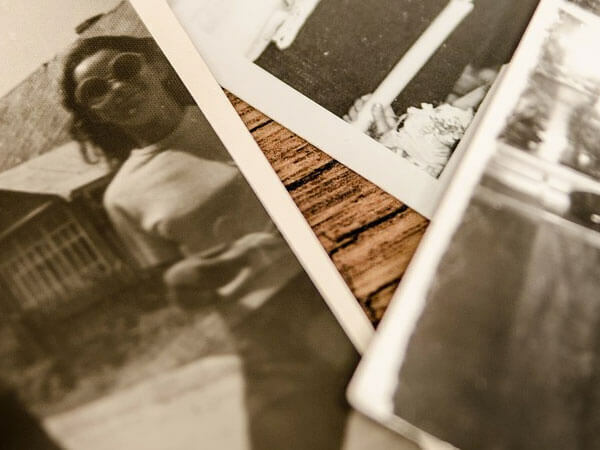 Gathering assigns significance because it demonstrates the importance of a person’s life and acknowledges that grief shared is grief that is validated. By planning a funeral, celebration or gathering, you are performing an act of love for the one who has passed. Funeral events provide permission to grieve and establish the significance of the person’s life. A funeral is not about caskets and rituals. A funeral is about mental health and healing. Ceremonies can be incredibly healing. Ceremony speaks for us when words fail – it transcends the written and spoken word. A simple act can say more than a person could say in a day. And, it is often through these meaningful, thoughtful ceremonies shared with friends and family that the bereaved is able to establish the significance of their loss and begin the healing process. Myers-Buhrig’s staff works very hard to make the remembrance of a loved one special and important, so that families feel cared for and attendees understand the importance of the event. Contact us to talk more about establishing the significance of your loved one’s life. As you consider what kind of gathering you would like to have, we are experienced and well-suited to assist with whatever you decide. While visiting with a family, there are several questions that help our staff to guide them in a direction that will hopefully lead to the greatest healing. We call these Buhrig’s Five Critical Questions. These questions have to do with the loved one’s final wishes – whether he or she desires to be buried, cremated or donated – and where. Additionally, does your loved one want a public viewing or, if not, will he or she allow the family to say goodbye face-to-face. Lastly, what kind of service or celebration does your loved one want? Buhrig Funeral Home & Crematory and Buhrig's Gathering Place strongly believes that the ceremonies that a family goes through helps to celebrate, remember, and provide significance to the person’s life and passing. These ceremonies begin the healing process, regardless of the funeral event style. Celebration Events are growing in popularity in our community because they are considered to be lighter events. To incorporate the key healing ingredients into your event, a good funeral director is needed. For example, at celebration events, many people show mementos, displays or a video. Our team will handle setting up displays, create videos, and ensure that any problems that arrive are handled. Your focus should be on your family and remembering your loved one, not the distractions of details. The trusted advisors at Buhrig's also can help to guide you as you plan. We have an extensive list of many area professionals that we have long relationships with and plan events with on a regular basis. We also have resources for locations, catering, musicians and more. Traditional Funerals are generally done in the funeral home or at a religious venue. Many of the varied options for celebration events can be incorporated in traditional funerals, such as mementos, displays, videos, and more. Our newly remodeled facility has many spaces to display items and special, large TV screens for videos and slideshows. Audio/Visual Technology Capabilities are readily available at Buhrig Funeral Home & Crematory and Buhrig's Gathering Place. We also have many technological capabilities that allow loved ones to watch or participate in the service from afar. A few of our offerings include: live 2-way video chat, video recording, and multimedia options. Many options are available for families to remember their loved one and the team at Buhrig Funeral Home & Crematory and Buhrig's Gathering Place will do our best to compassionately listen, advise and carry out the wishes of those who choose our care. Contact us to talk more about this option. Buhrig Funeral Home & Crematory has experience providing in a variety of settings, such as family homes, beside the river, churches, out of state, parks, community centers, event centers, and in our private and beautiful facility. If you choose to use Buhrig Funeral Home & Crematory’s newly remodeled facility, you will be comforted by the warmth and privacy of our home. We have a beverage café in building for your family and a reception café with food service next door. (Pennsylvania law prohibits food within the funeral home.) Contact us to talk more about this option. Buhrig Funeral Home & Crematory is pleased to announce the addition of Buhrig's Gathering Place, located next door to the funeral home, for reception services with food and beverages. Many find this option a hassle-free choice because it eliminates travel and parking concerns. When families are considering details of caring for their loved one after death, purchasing funeral merchandise does not have to be a burden. Buhrig Funeral Home & Crematory offers more merchandise than any other funeral home in the area and we offer all of our merchandise at our actual cost for full service clients using our services. We offer a wide array of cremation urns, jewelry, keepsakes, mementos, clothing, caskets, vaults, markers and monuments, memorial print products, and more that can be viewed in our arrangement suite. Supporting Our Local Community is important to Buhrig's and we actively do this by purchasing all of our caskets from Matthews Aurora, based in Pittsburgh, PA. Matthews Aurora is the second largest casket manufacturer in the world. Their quality is outstanding and their wood caskets are all made in York, so our clients don’t have to worry about the quirks and issues of foreign-made products. As a Green-Certified Funeral Provider, Buhrig's has the largest offering of green urns and caskets in the area as well. We can also provide tree balls and other green options.